If you have ever known of someone who has an existing concrete slab ripped out and reinstalled, you know about the mess and time involved. For your home in Fredericksburg, you can transform its beauty and increase its value by choosing concrete driveway resurfacing over the alternative. There is no piles of broken rubbish or dust, and an expert can complete the project usually in one day. 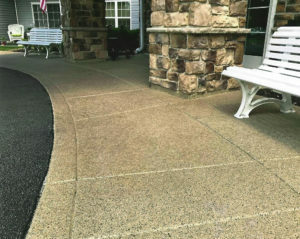 As part of concrete driveway resurfacing at your Fredericksburg home, select a product that creates a gorgeous yet fully functional surface. For example, using SunStone or SunStamp, you can transform your driveway and have a property with incredible curb appeal. 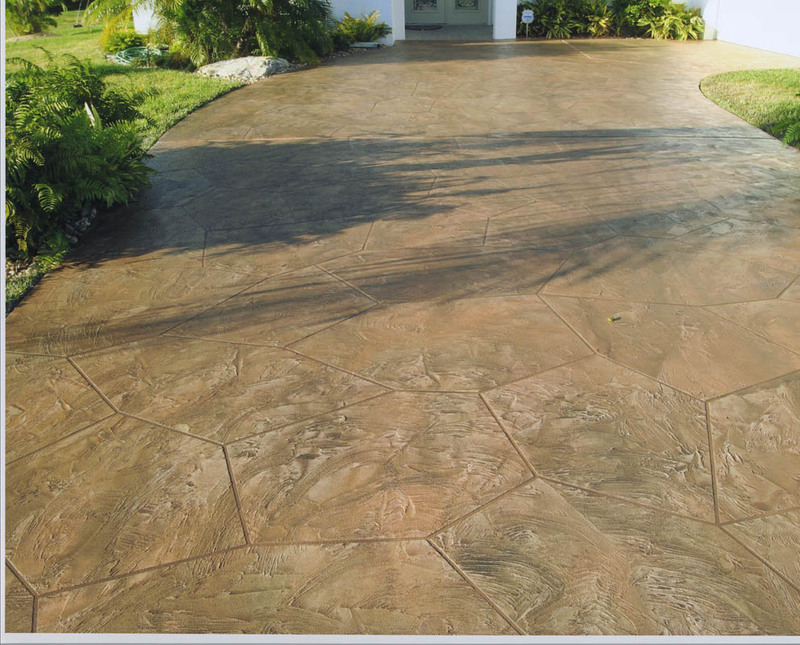 In fact, prepare yourself for strangers asking about the decorative concrete solution you chose. Do you want your driveway to look like genuine wood, brick, limestone, slate, river rock, or another material? With either of the products mentioned, you can achieve one of those looks. Using a stamping mat, a professional installer or contractor starts by preparing the surface, which entails making any necessary repairs, cleaning it, and then allowing it to dry. With that complete, he carefully and strategically places the mats during the concrete driveway resurfacing process at your Fredericksburg home. With the right amount of pressure applied, the mats create the design you want. Included with this, the expert applies an overlay in the color of your choosing. Based on your preference, the professional can use more overlays and colors for customization. Not only will a stamped concrete driveway resurfacing project at your Fredericksburg home look like another material but it will also feel like it. For instance, if you want your driveway to look like river rock, it would mimic stones perfectly but also feel like stone beneath your feet. Regardless of your choice, there is no question your house will stand out and for all the right reasons.